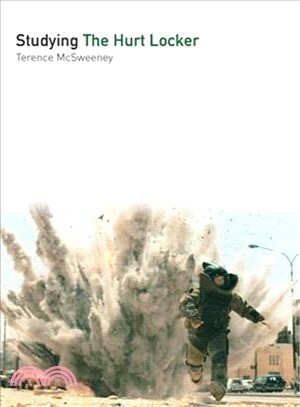 In this vibrant and dynamic book-length study drawing on a broad tapestry of research, Terence McSweeney offers an exploration of The Hurt Locker (2009), its stylistic and narrative devices, its cultural impact, its reception, and its relationship to the genre of the war film. McSweeney places the film in a richly textured historical, political, and industrial context, arguing that The Hurt Locker is part of a long tradition of films about American wars that play a considerable role in how audiences come to understand the conflicts that they depict. Thus, films about a nation’s wars are never “only a movie” but rather should be considered a cultural battleground themselves on which a war of representation is waged. Terence McSweeney is senior lecturer in film and television at Southampton Solent University. He is the author of Avengers Assemble! Critical Perspectives on the Marvel Cinematic Universe (2018), The War on Terror and American Film: 9/11 Frames per Second (2014), Beyond the Frame: The Films and Film Theory of Andrei Tarkovsky (2015), editor of American Cinema in the Shadow of 9/11 (2016), and coeditor of Millennial Cinema: Memory in Global Film (2012).